The patient, whose case was reported on Tuesday, is a 35-year-old man. Shanghai has had its first locally reported dengue fever case. 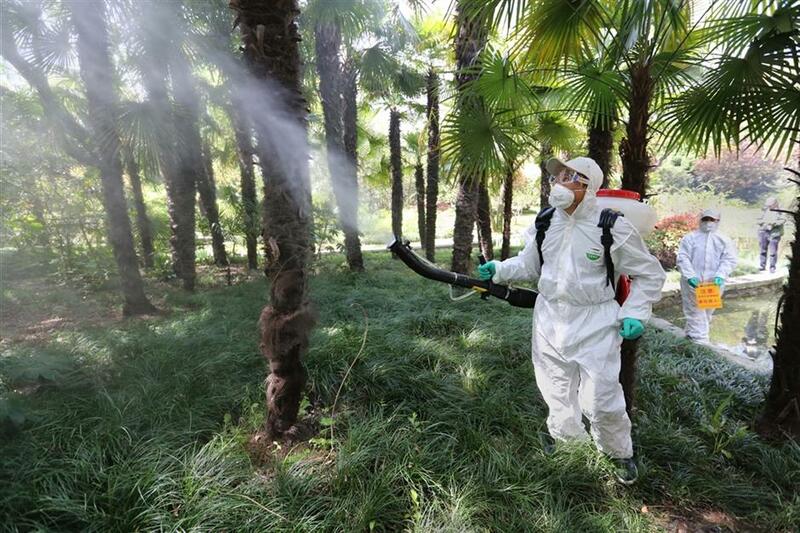 Making the announcement, the local health authority said all previous dengue fever cases involved people who had been infected with the disease elsewhere but had the disease detected in Shanghai. The patient, whose case was reported on Tuesday, is a 35-year-old man. He went to hospital after suffering symptoms such as fever, skin rash and aching joints, said Shanghai Health and Family Planning Commission. The patient’s temperature has since returned to normal and the skin rash faded after treatment, the commission said. Dengue fever is an infectious disease spread through mosquitoes. There is no vaccine for the disease. The key measure for disease prevention is to try to control mosquitoes. The peak season for dengue fever is from May to October. The longest incubation period is 14 days. People should report to a hospital as soon as possible if suffering symptoms of fever, skin rash and aching joints. Shanghai Center for Disease Control and Prevention advises residents to take precautions during the National Day holiday if visiting regions where dengue fever and other infectious diseases spread by mosquitoes are prevalent.